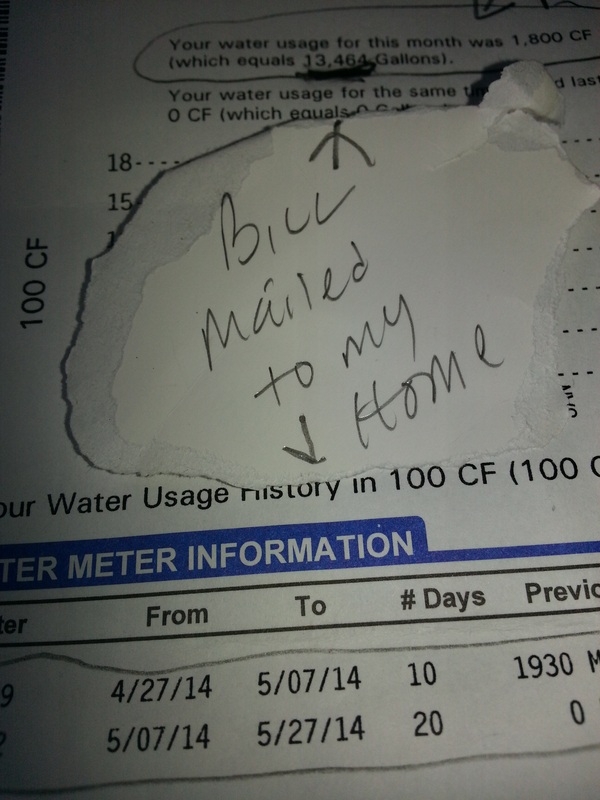 The bills sent out to homeowners, particularly those with old meters, are likely to be very innaccurate. In fact, it appears that the DWSD even manufactures water usage numbers out of thin air. Recently, a Detroit family was in a billing dispute with DWSD over outlandish charges, and had their water shutoff. Below are copies of two versions of a bill that she received from DWSD for the period 4/27/14 to 5/27/14. The first bill was received in the mail. A family member went to the payment center to pay the bill and requested a copy of the bill. 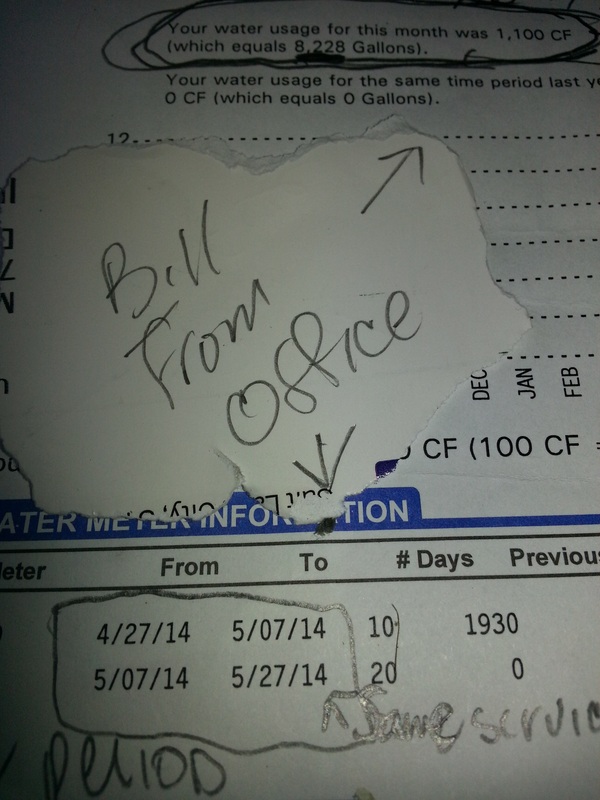 The second bill, below, is the copy received at the DWSD payment center for the same billing period. In the first bill, the familiy is billed for 13, 464 gallons or 1800 cf of water. In the second bill, the family is billed for 8,228 gallons or 1100 cf of water for the same billing period. Remember, this family had their water cutoff! Bill sent to the home.